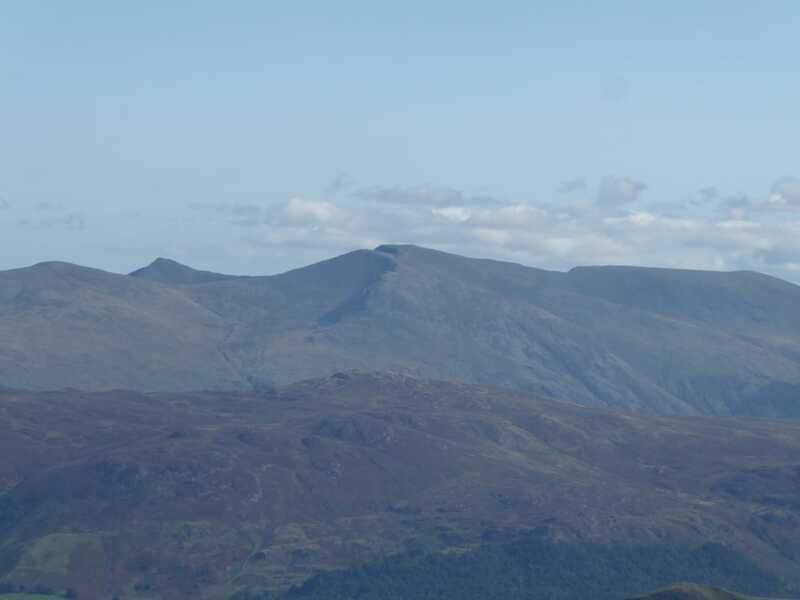 Clear skies for most of the day with superb visibility. 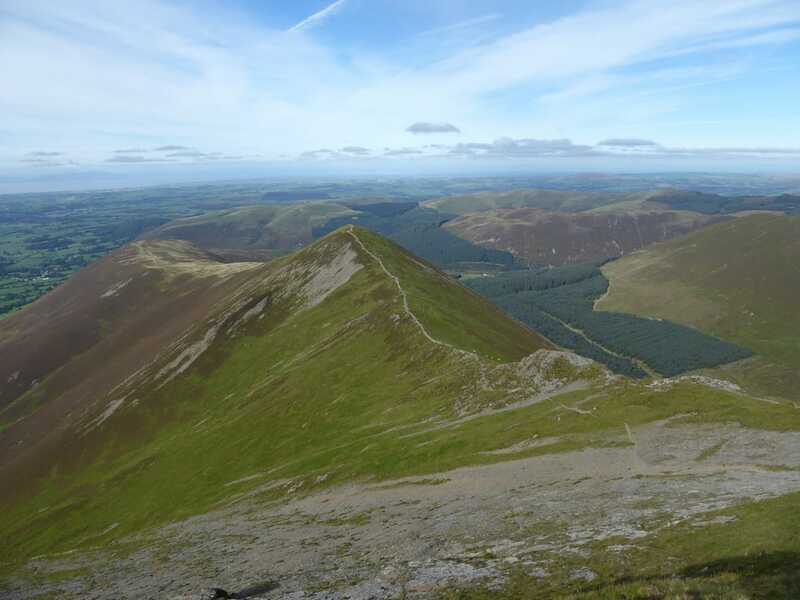 The Coledale Horseshoe also known as The Coledale Round, is a walk over the Wainwright Fells (and others) surrounding the glacial hanging valley of Coledale not that far from Keswick. 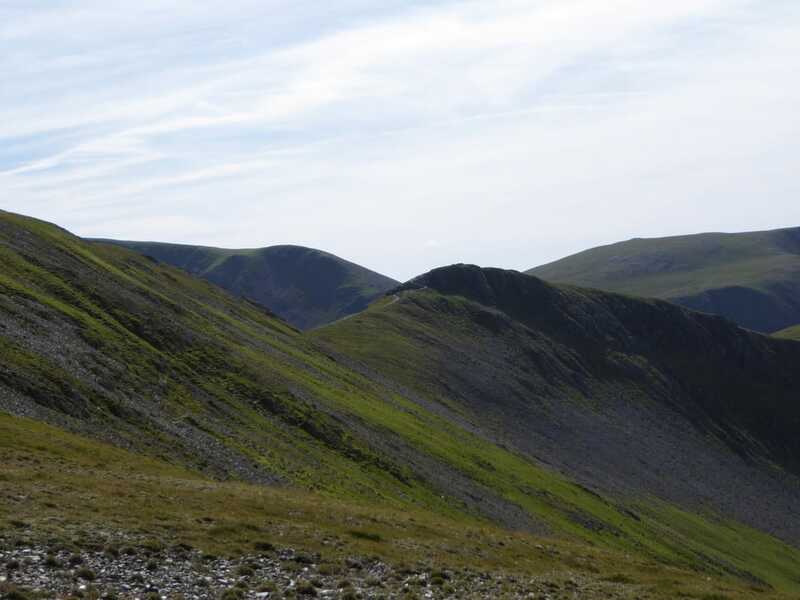 We played around with our route today to encompass some other fells but the meat of the Coledale Horseshoe was still there - Grisedale Pike, Hopegill Head, Crag Hill, Sail & Outerside which is usually considered the bones of the round. 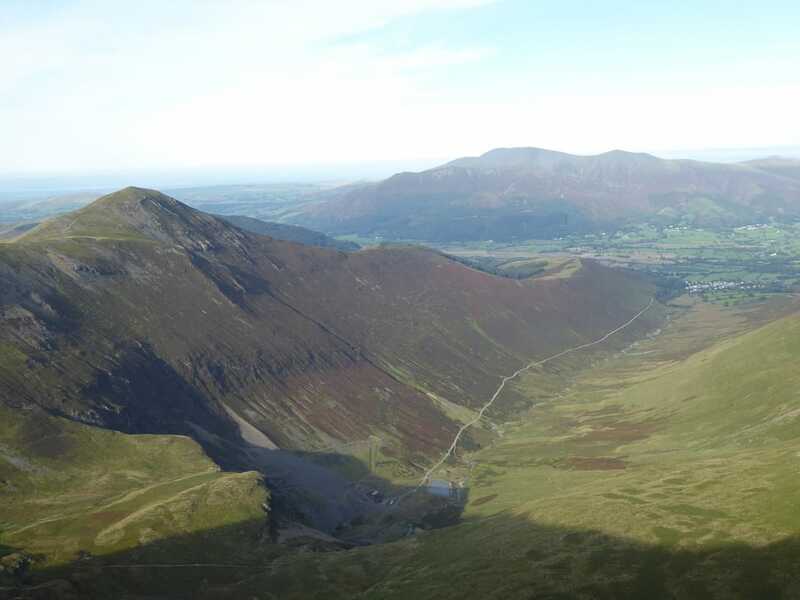 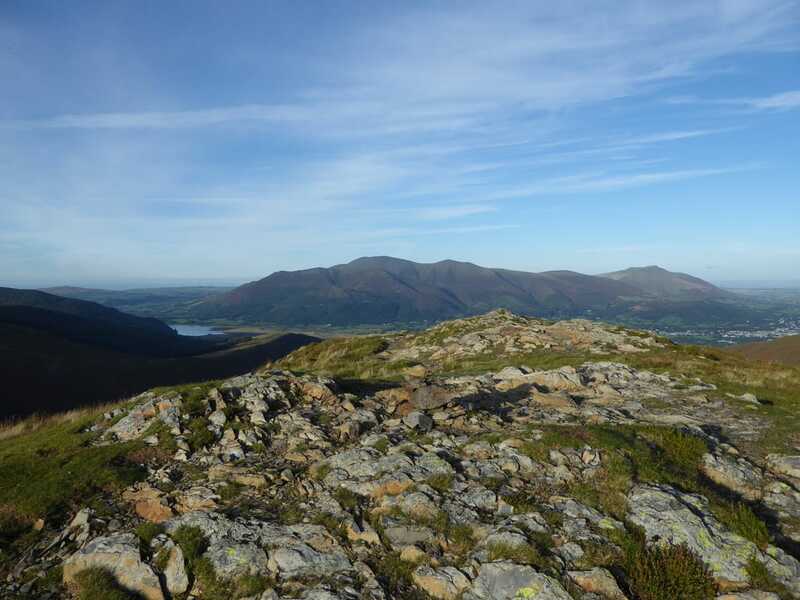 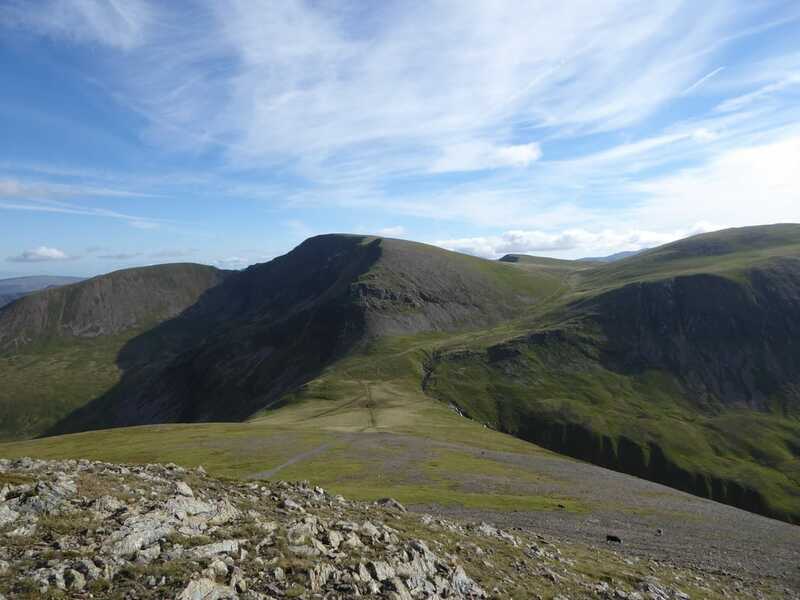 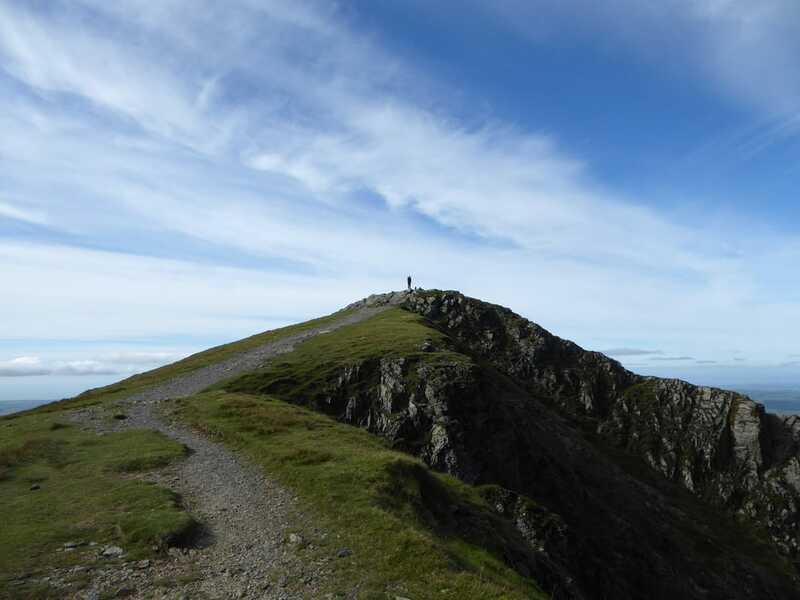 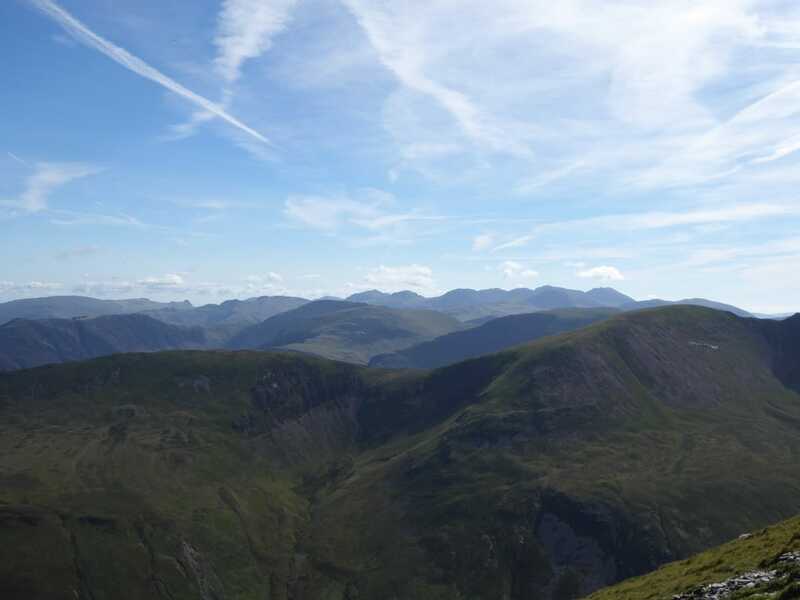 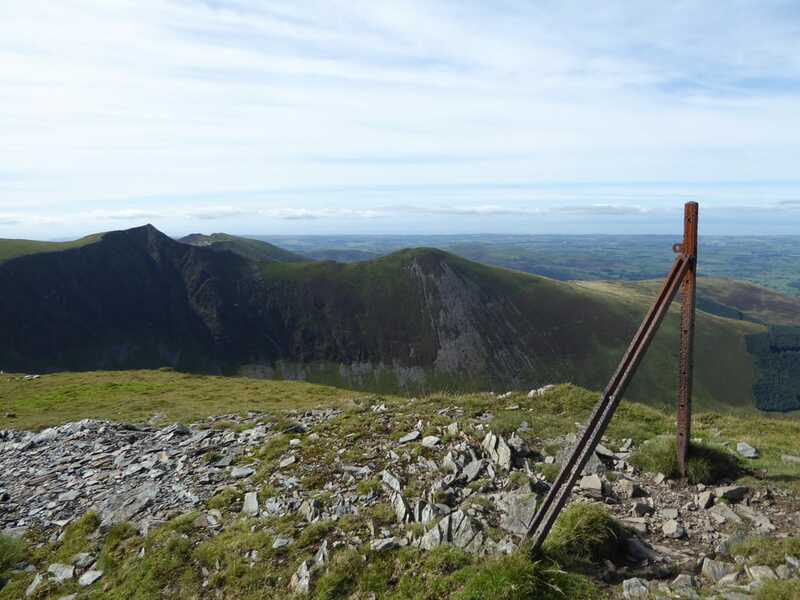 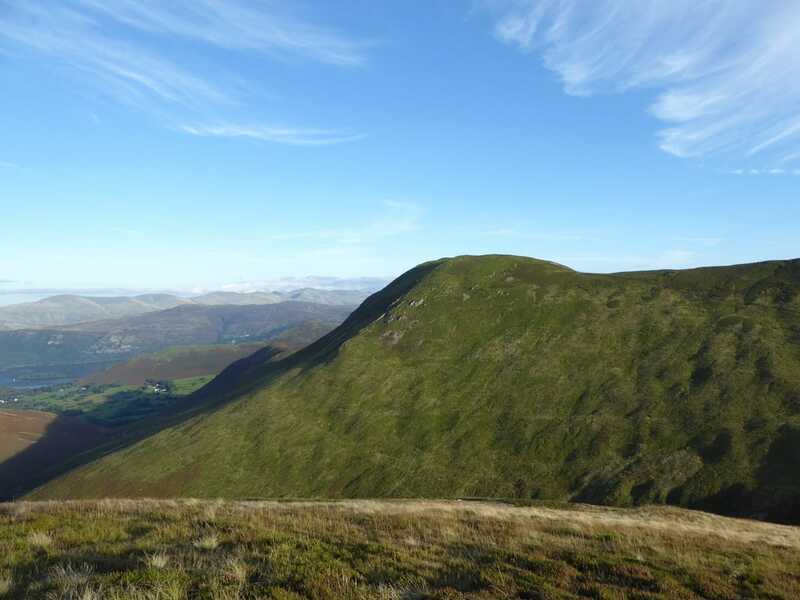 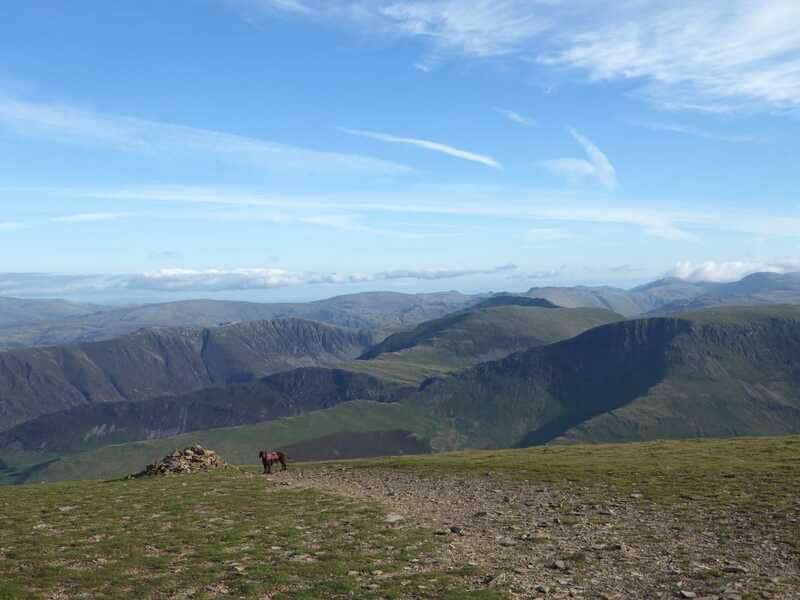 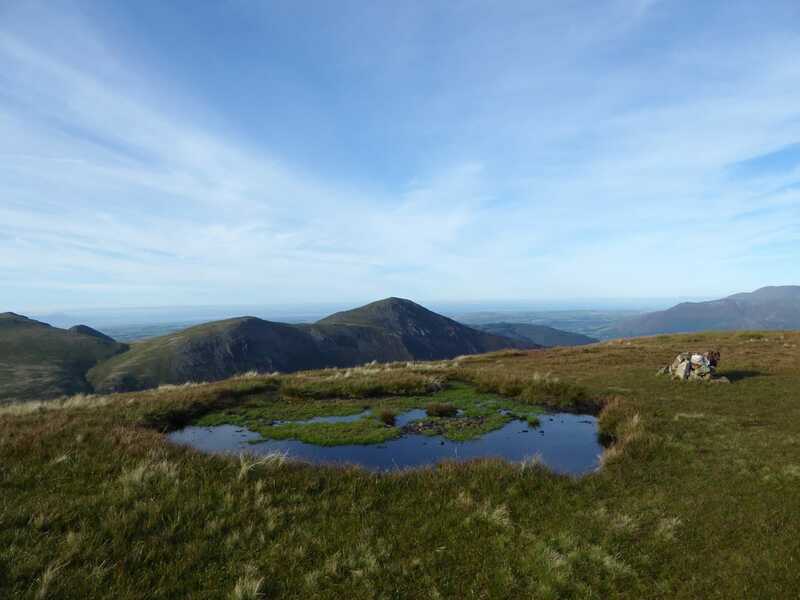 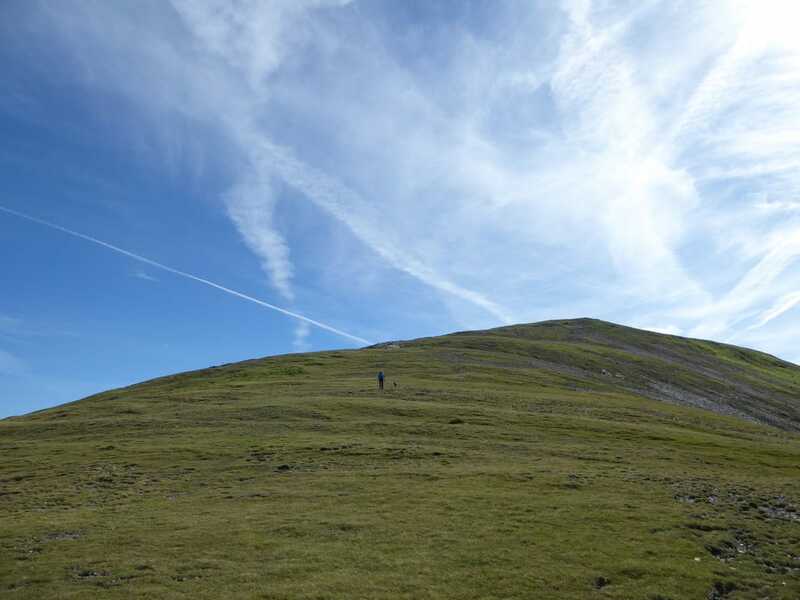 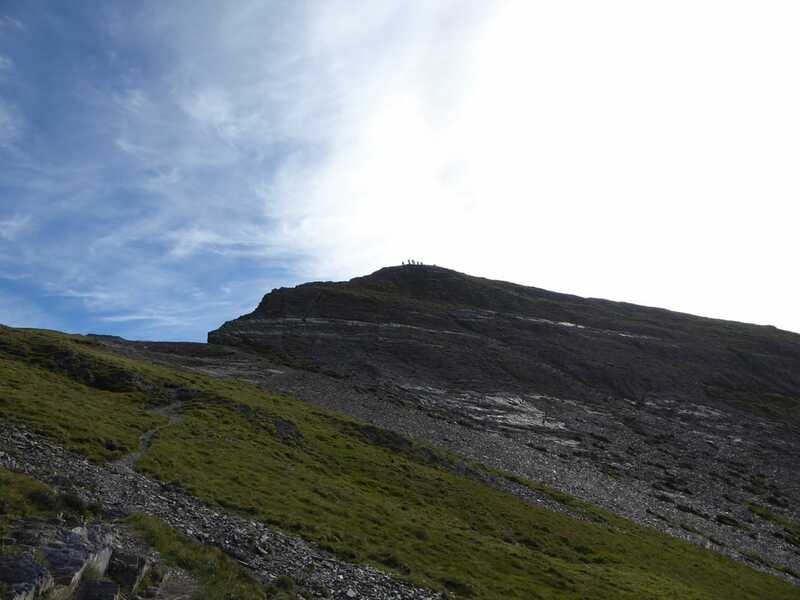 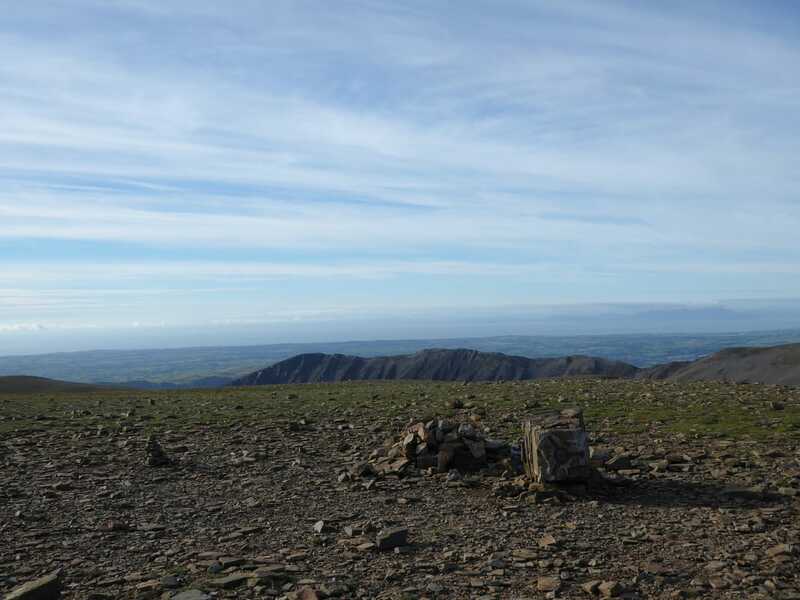 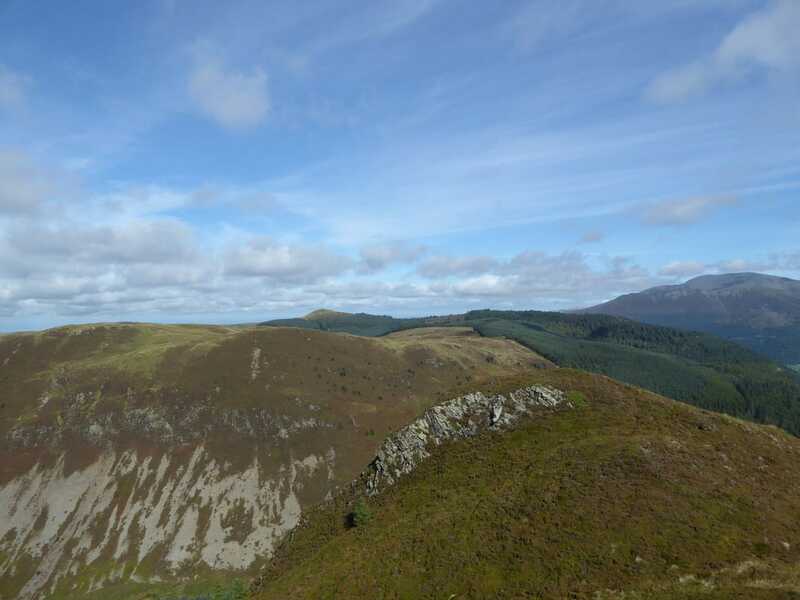 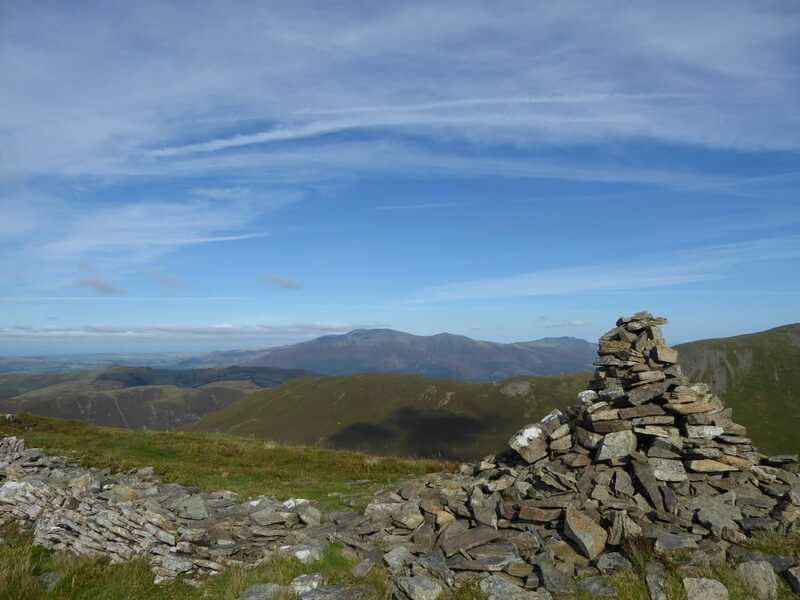 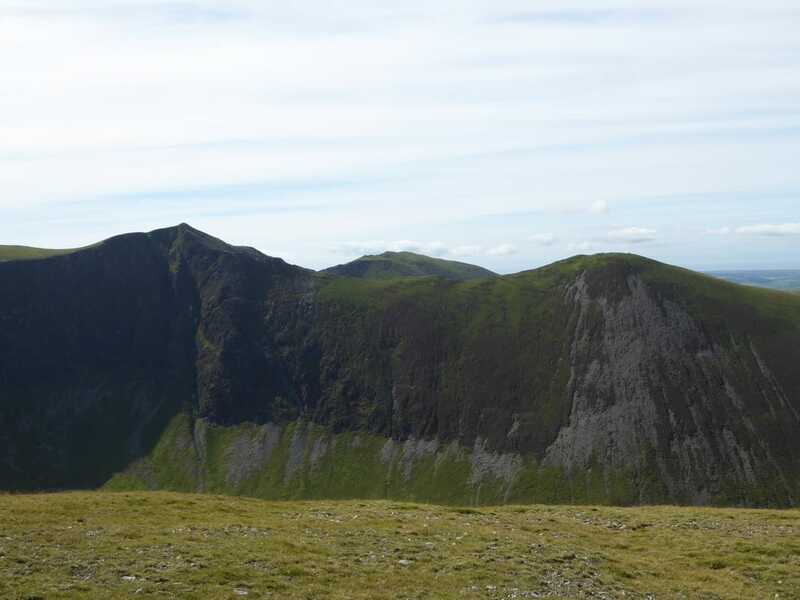 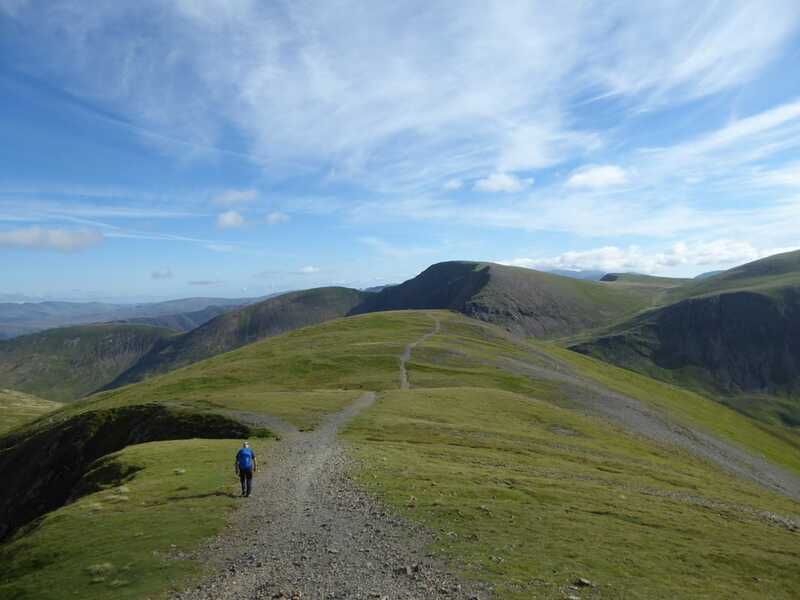 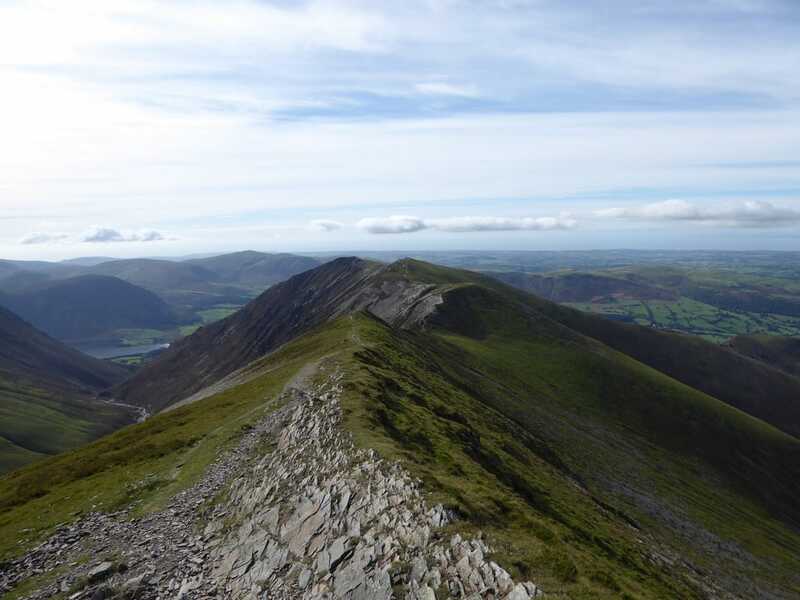 Depending on the light and your stamina, the route can be lengthened to include Grasmoor, Wandope, Scar Crags, Causey Pike and then finishing the day on Barrow. 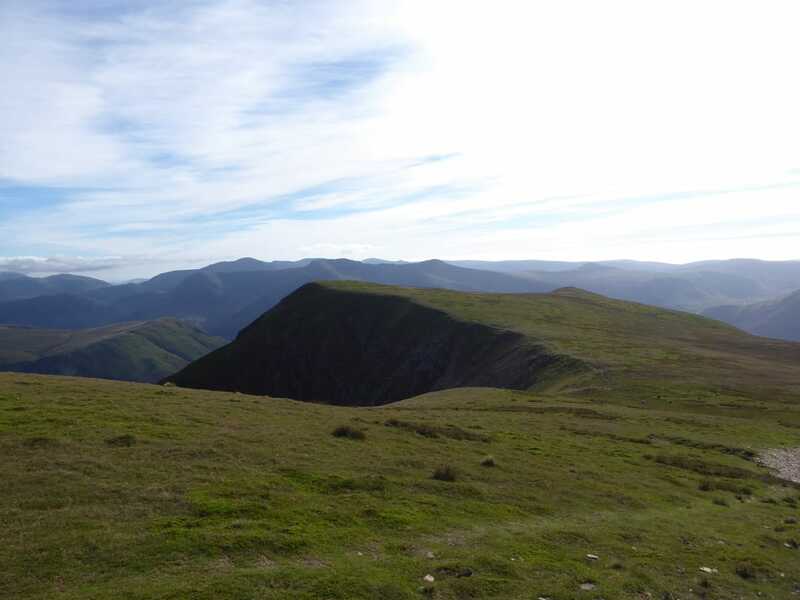 The walk today started over near Thornthwaite at Hallgarth where there is a layby for a few cars - if this is full then there is additional parking in the village. 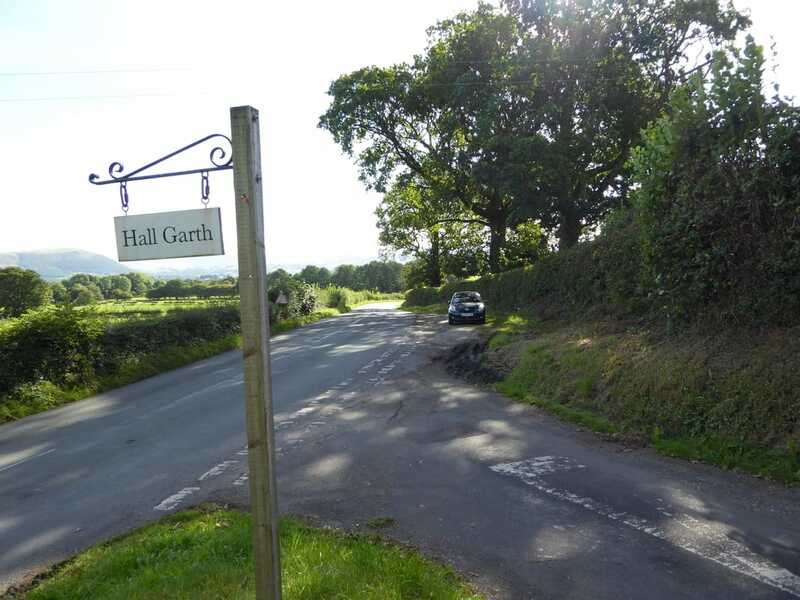 The route leaves the main road in the direction of Hall Garth Farm and once the outbuildings are passed then heads to the right into the woods to pass behind Ladstock Hall to reach Thornthwaite. 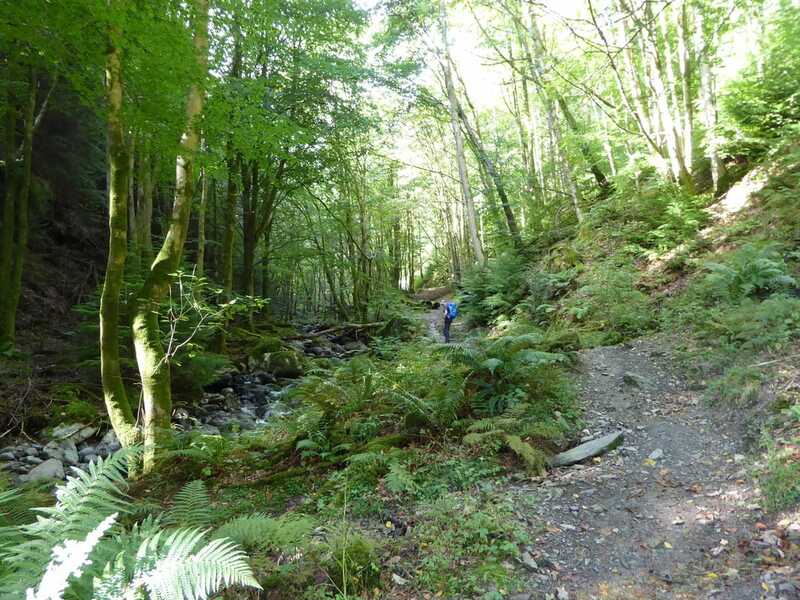 Heading through the village, the route then enters the eastern edge of Whinlatter Forest Park to handrail Combe Beck. 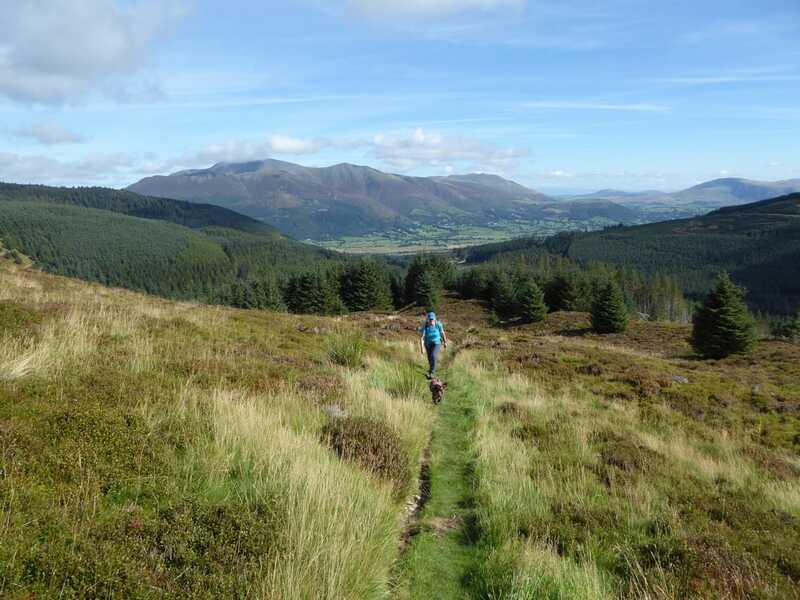 Eventually a forest track is reached and this is followed all the way to the Whinlatter Visitor's Centre. 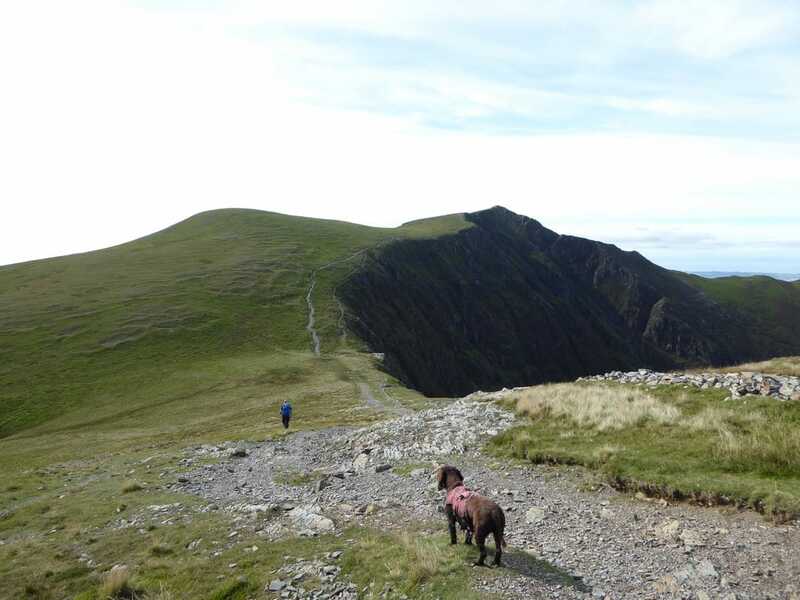 Given that it was a sunny Saturday the Centre was extremely busy with cyclists and we stopped here for a drink (an extremely expensive one!) 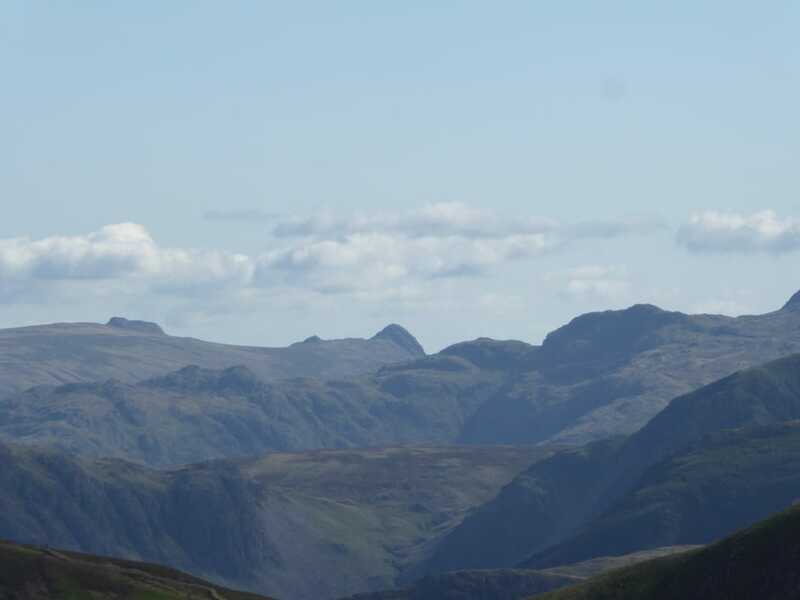 before heading to Comb Bridge. 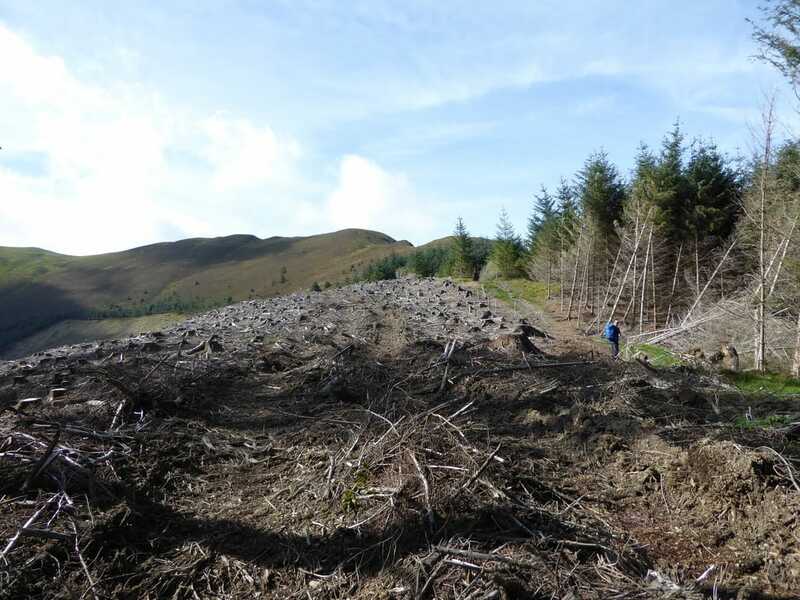 After the bridge the route continued through the forest and it was here we realised that there were major forestry operations going on as our intended path was no more - just upturned waymarks. 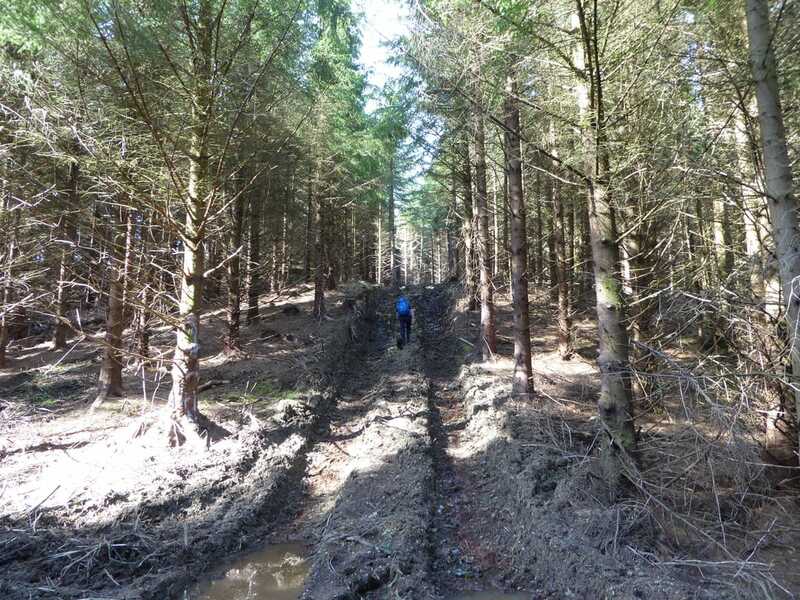 Had it been a weekday there was no way we could have continued with our present route as the forestry workers would have been on site but as it was a weekend there was nobody about and no signs to restrict our progress. 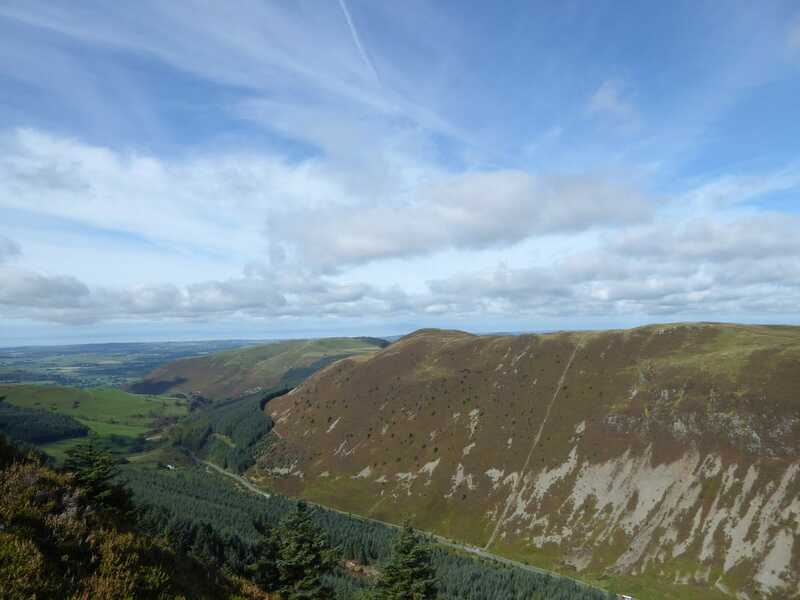 We therefore headed up a muddy vehicle track in the general direction of where our initial route would have exited the forest to rejoin the original route, emerging into sunshine just to the east of Black Crag. 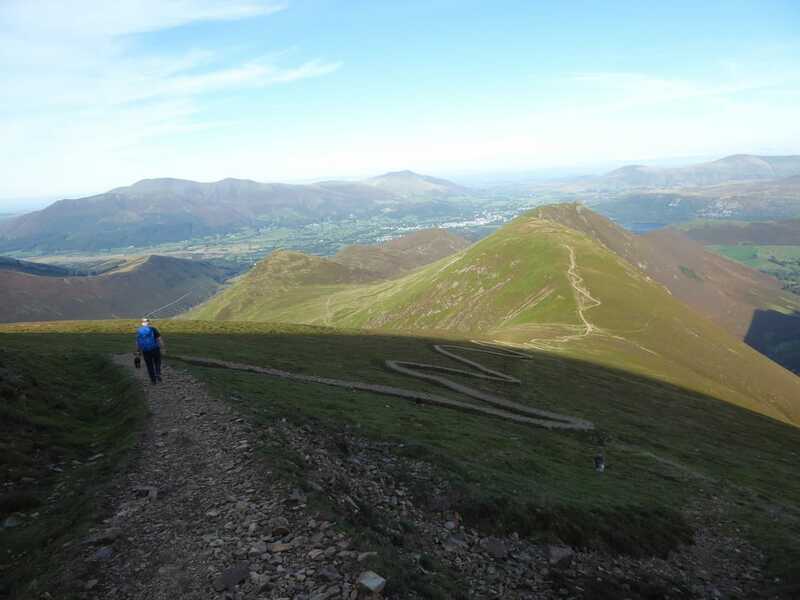 There was now an easy walk to gain the Nuttall of Hobcarton End from where we could see the long sweeping ascent up to Grisedale Pike. 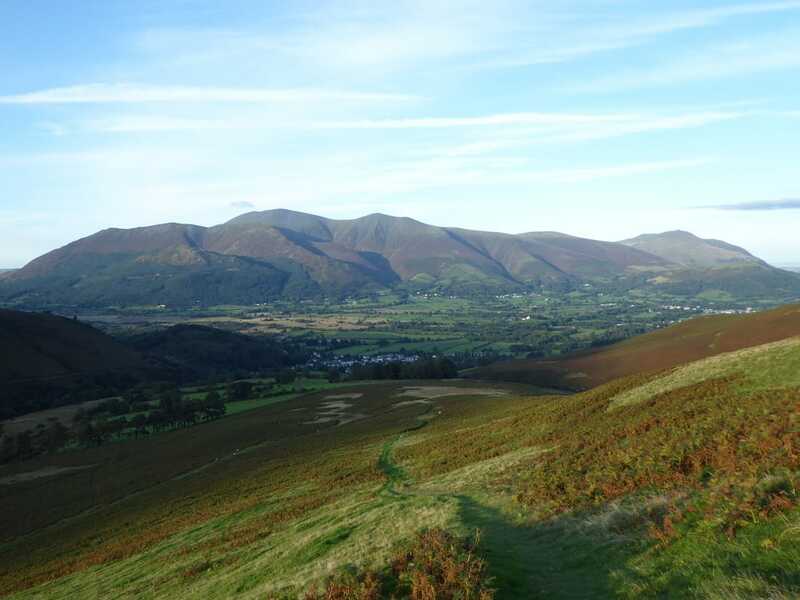 Most people ascend Grisedale Pike via Sleet How which is a steep pull but in ascending via Hobcarton End the climb is a gradual one and a very pleasant stroll which gives lovely views over to Skiddaw to the left and Ladyside Pike to the right. 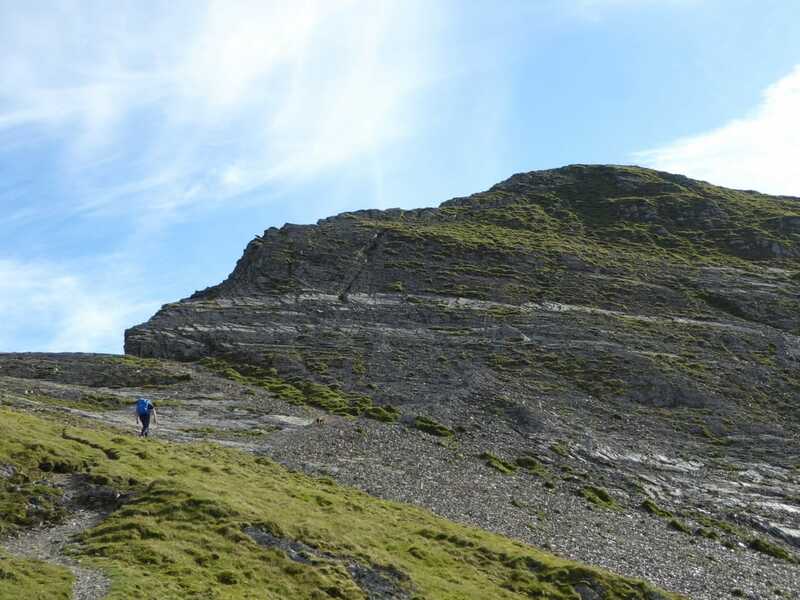 Crossing the broken wall near the top we could look over to see a few people ascending via Sleet How as we made our final few hundred yards to the summit. 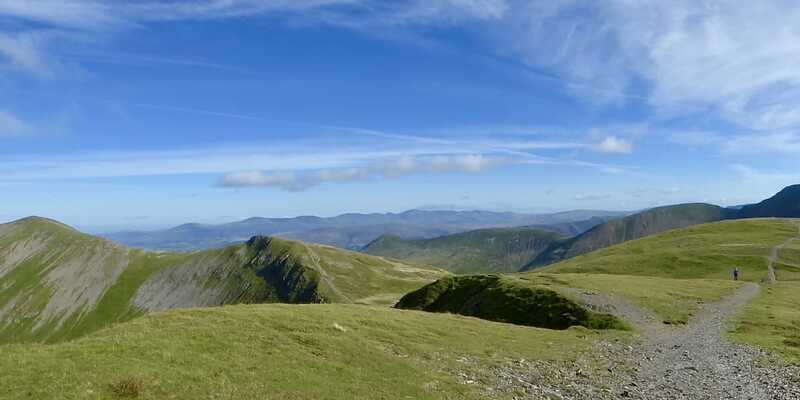 It was glorious up on the top as the view opened out to a superb Lakeland panorama - the fells were everywhere. 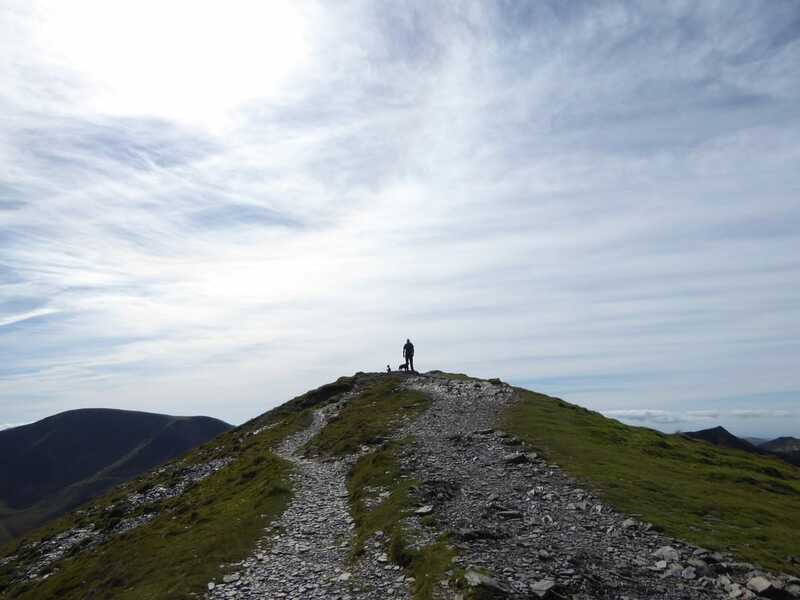 Leaving the summit we dropped into a small col to then ascend gradually to reach Hobcarton Grag to then climb again up to the top of Hopegill Head. 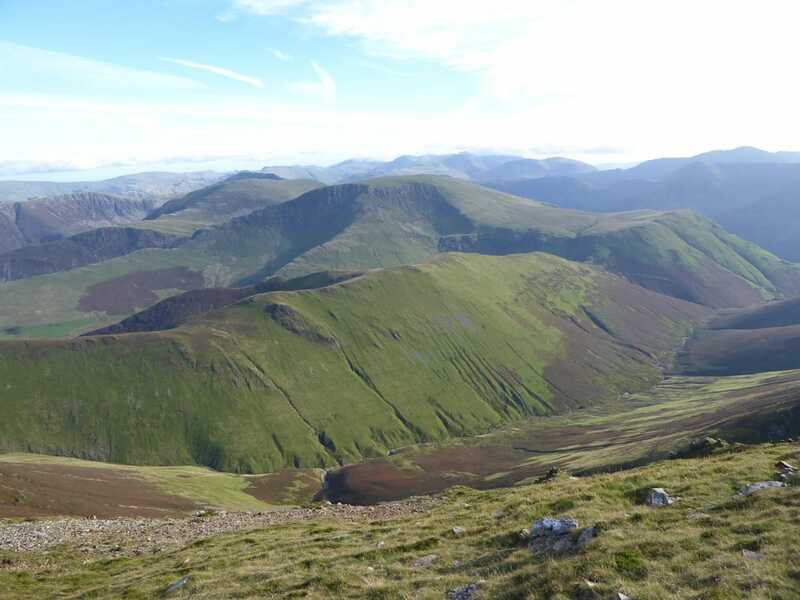 This was another glorious viewpoint, in particular the view across to Whiteside which is a fabulous transit across an airy ridge - but not today. 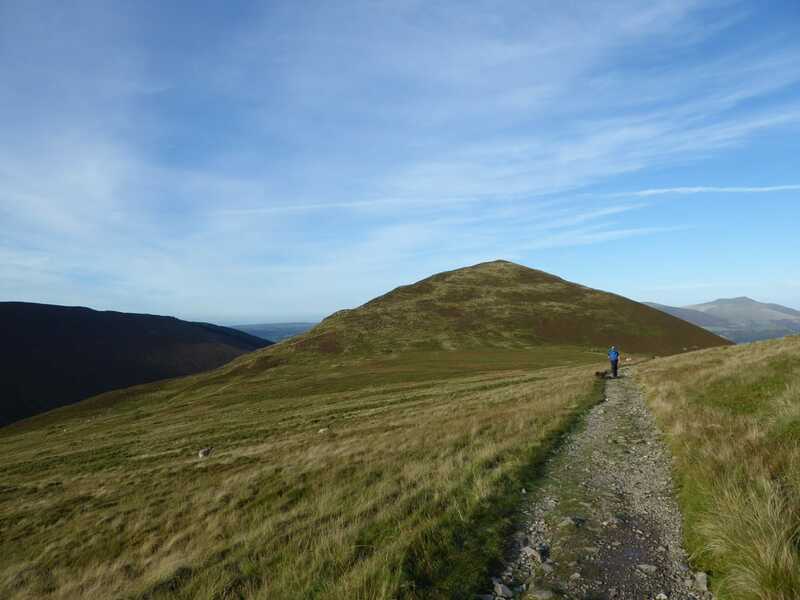 There was now an out & back to bag Ladyside Pike which involved a steep descent over angled rock slabs that could be troublesome in the wet or ice - as it was we took our time down this section and soon ended up on the gently rising path to Ladyside Pike's summit. 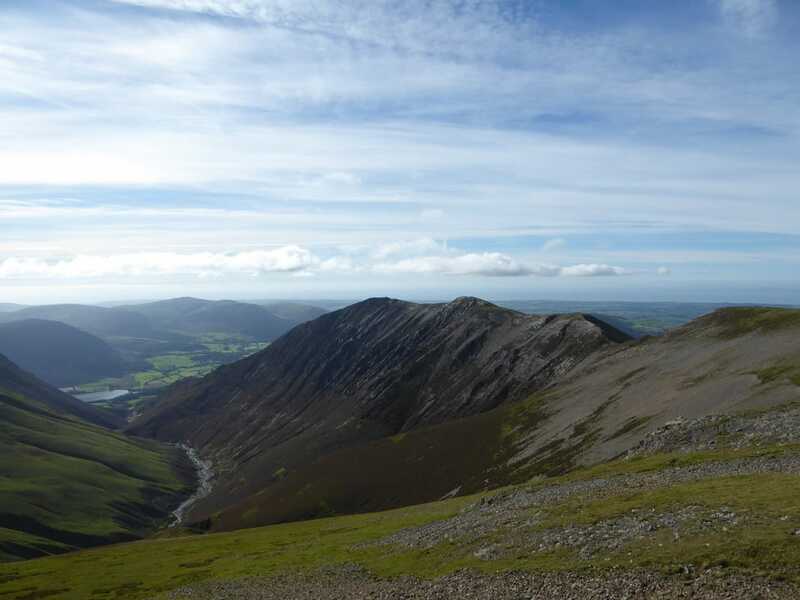 Returning the same way, the angled slabs back up to Hopegill head were an enjoyable scramble as we then dropped down to the summit of Sand Hill then on to Coledale Hause. 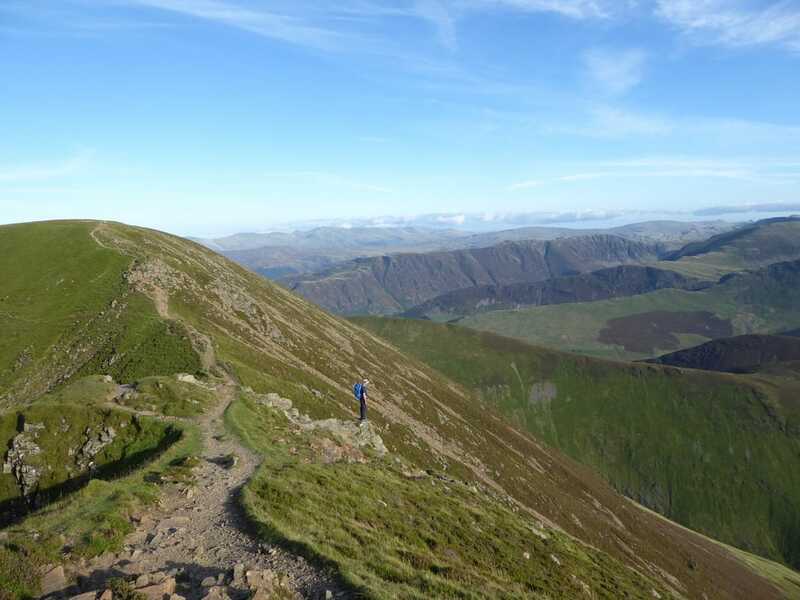 At the Hause there is a superb view down into Gasgale and also the walk can be shortened here by dropping down steeply to Force Crag Mine and following the mine road back to Braithwaite. 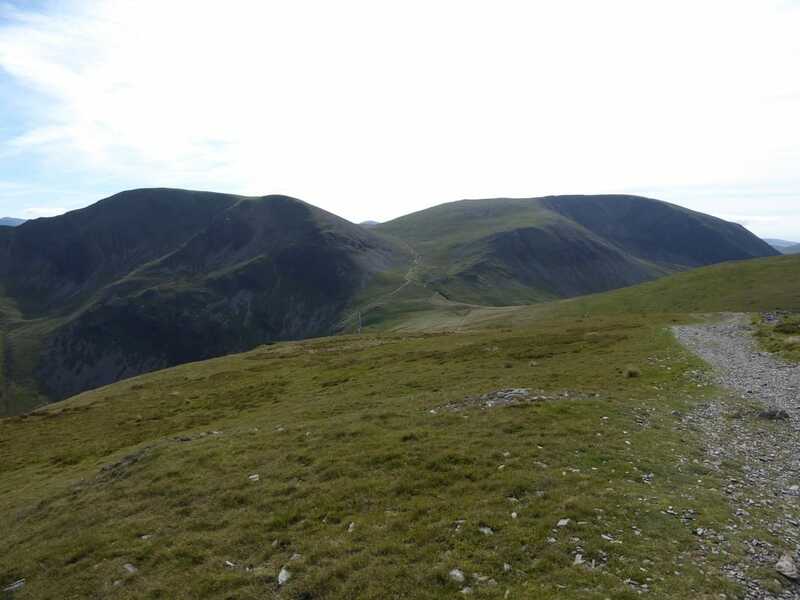 From Coledale Hause the route rises gently on a good path to reach a col and there is an option to climb steeply to Grasmoor to the left, go straight on to Wandope or as we did turn left to make the ascent up to Crag Hill. 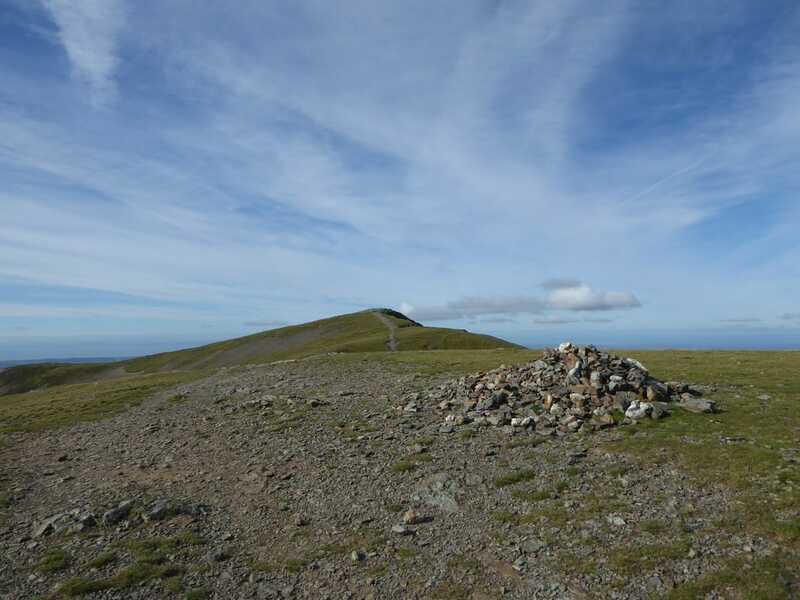 The summit is a big flat expanse marked by shelters and a broken Trig Point which is a shame - in mist it would be easy to become confused here. 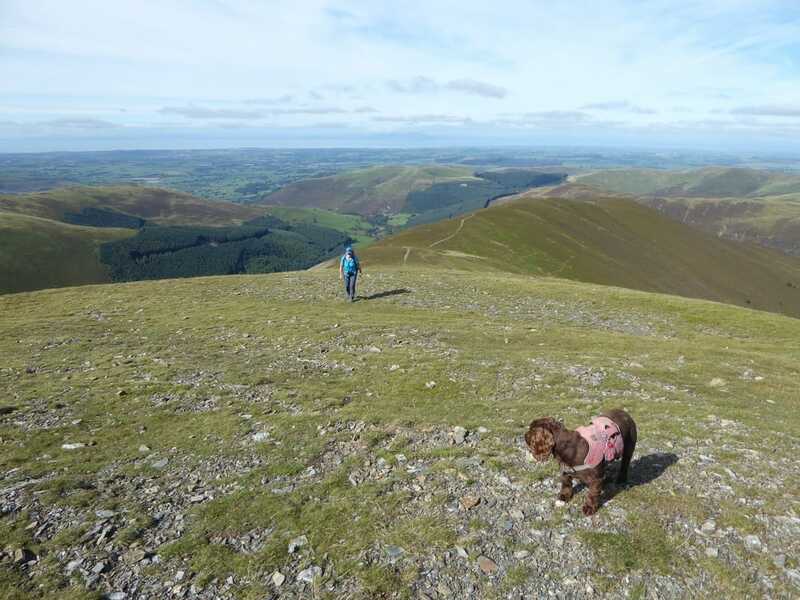 Keeping in an easterly direction, the cairned path led us to the steep descent of The Scar to then climb again to reach the summit of Sail - the views from The Scar, particularly to the right were amazing. 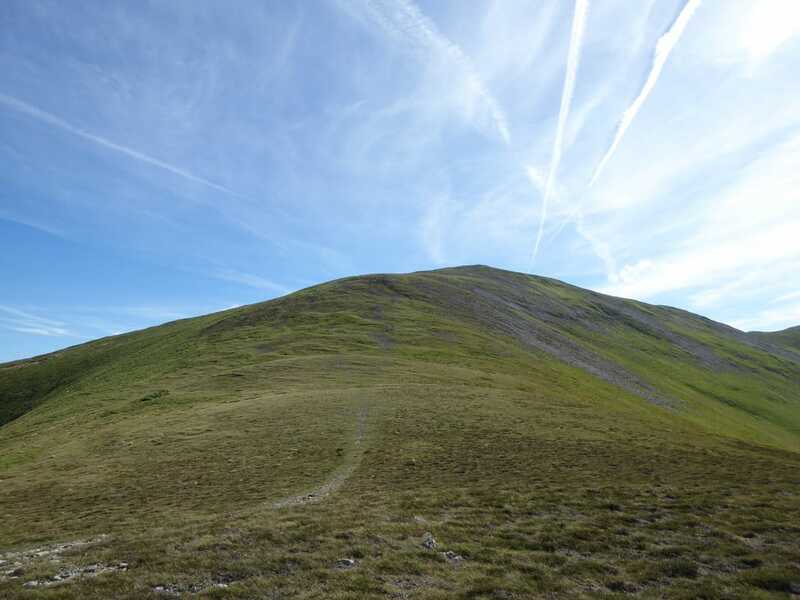 With Sail visited we then descended down the contentious zig zagging path to Sail Pass, turning left to travel over a slightly boggy High Moss to climb up to the stony summit of Outerside. 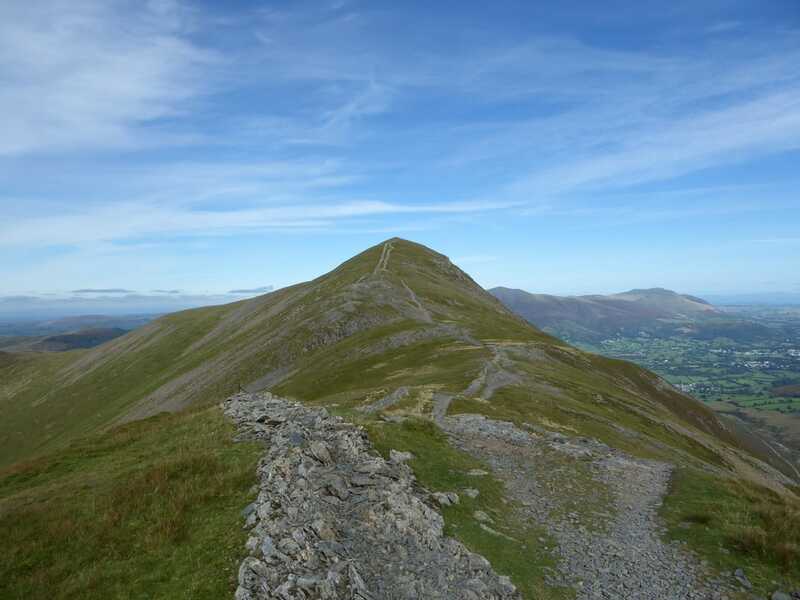 At this point it was our original intention to head over to Barrow Door and climb up to Barrow. 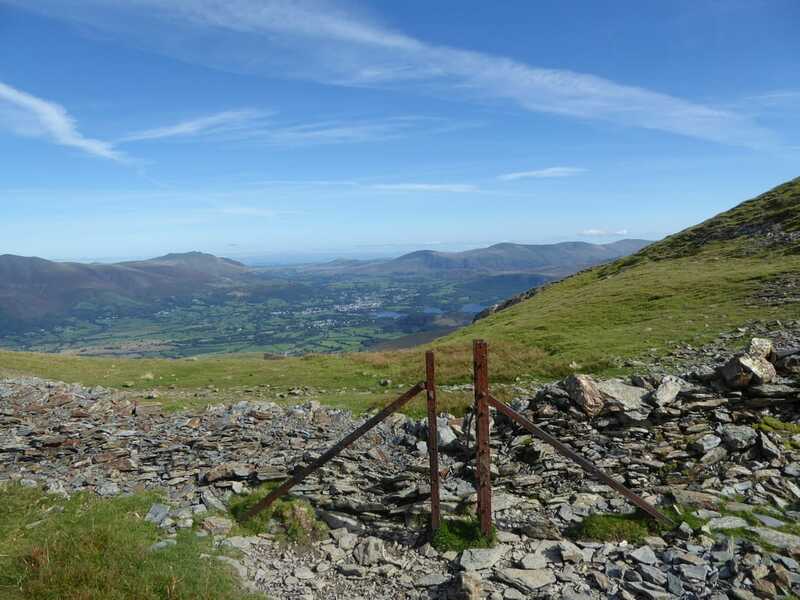 However, we decided to take the shorter route over Stile End and drop down into Braithwaite from where we walked along a quiet road back to the start at Hallgarth. 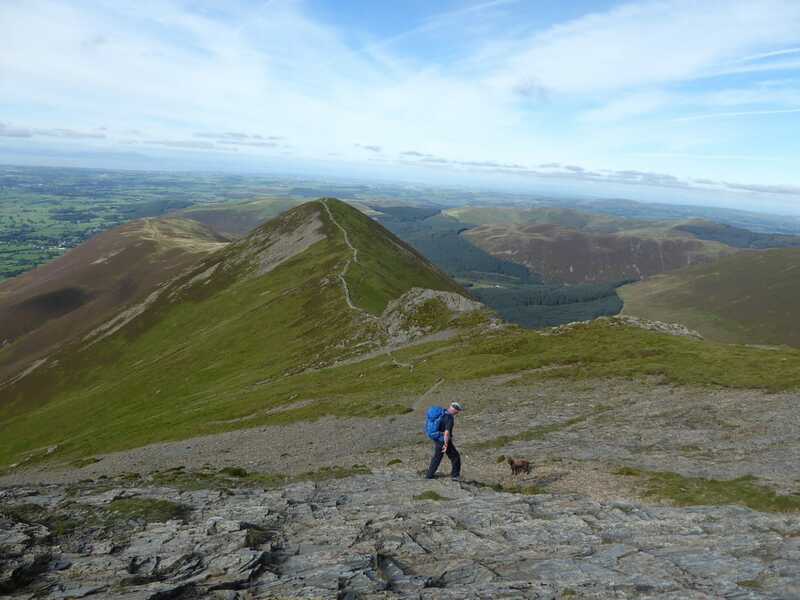 On a day like we had today with superb visibility the Coledale Round is a fantastic walk. 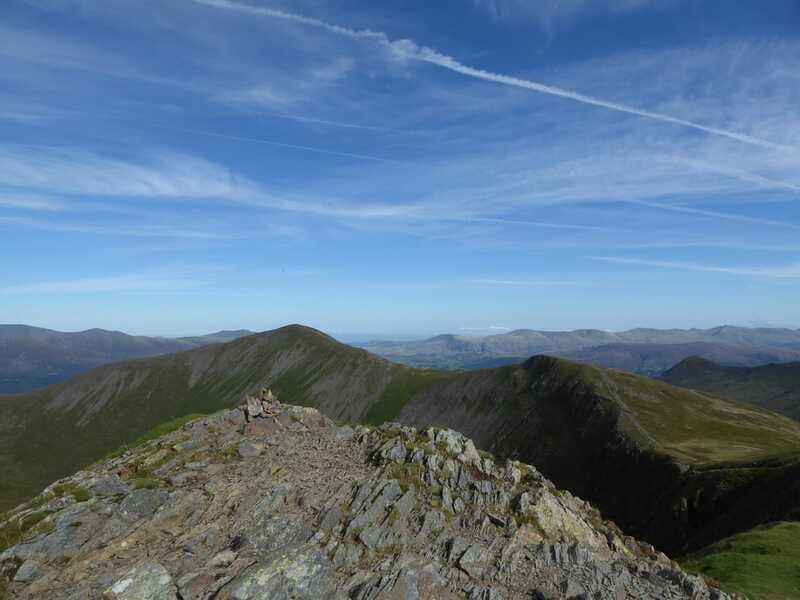 The views from all summits are right up there with the best and it is a walk worth taking your time over. 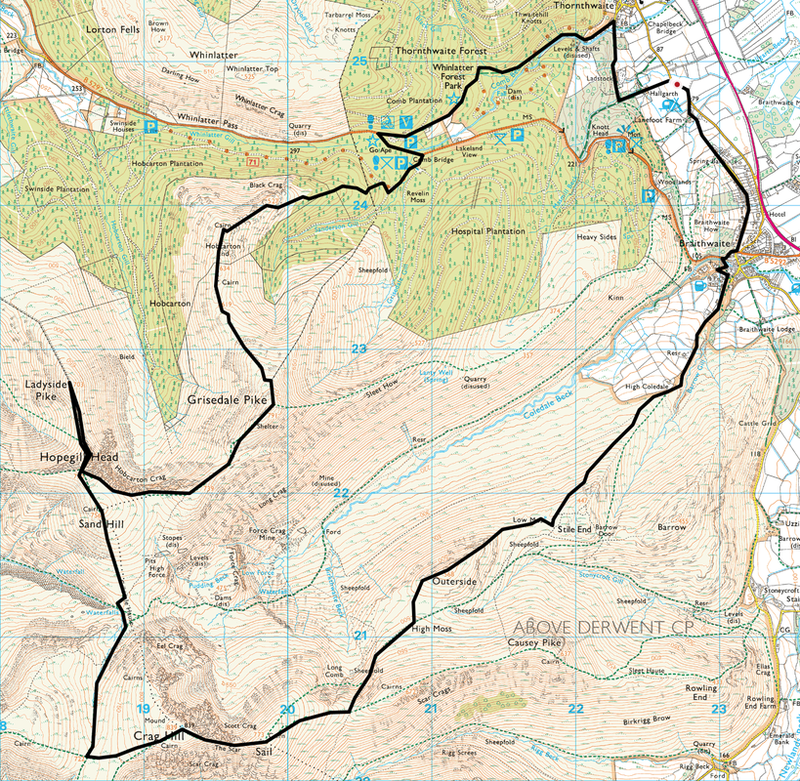 There are plenty of options to shorten or lengthen the route we did today. 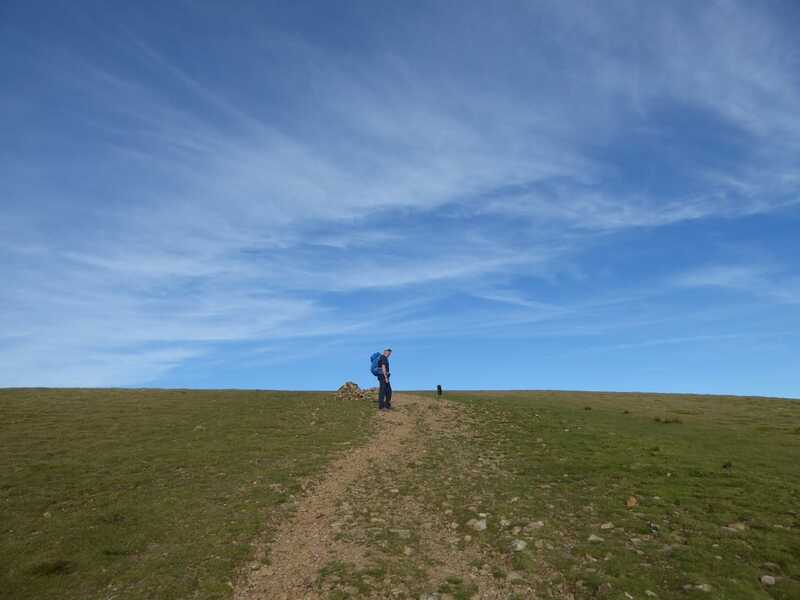 Either way you are bound to enjoy what it has to offer. 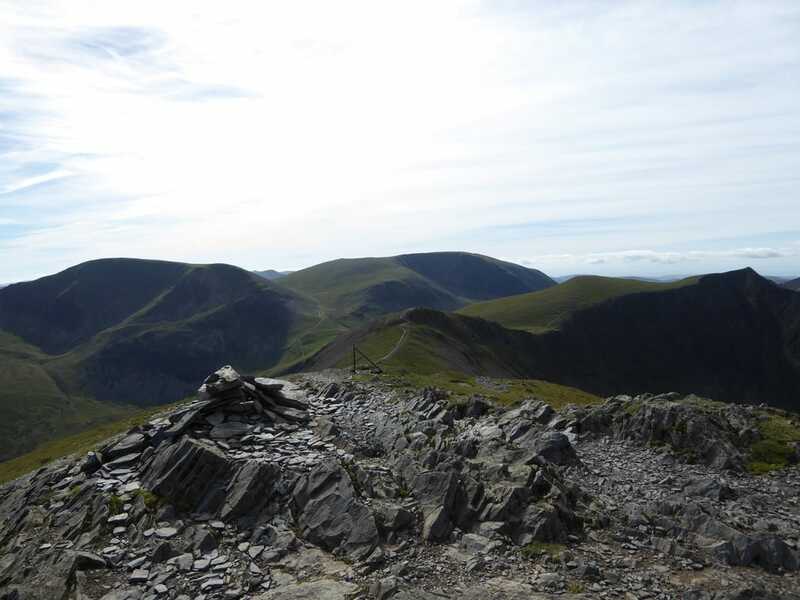 The rocky summit of Grisedale Pike - Crag Hill & Eel Crag are to the left with Grasmoor centre above Coledale Hause. 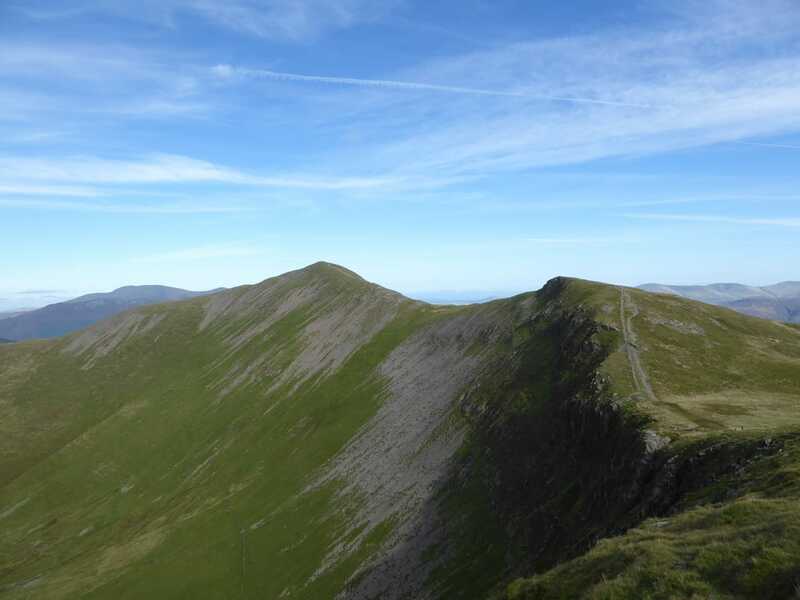 ​To the right are Sand Hill & Hopegill Head. 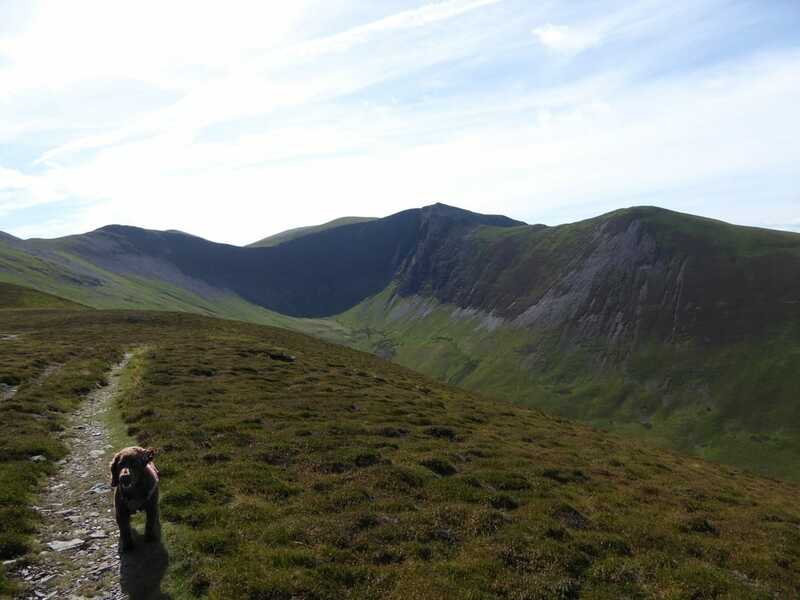 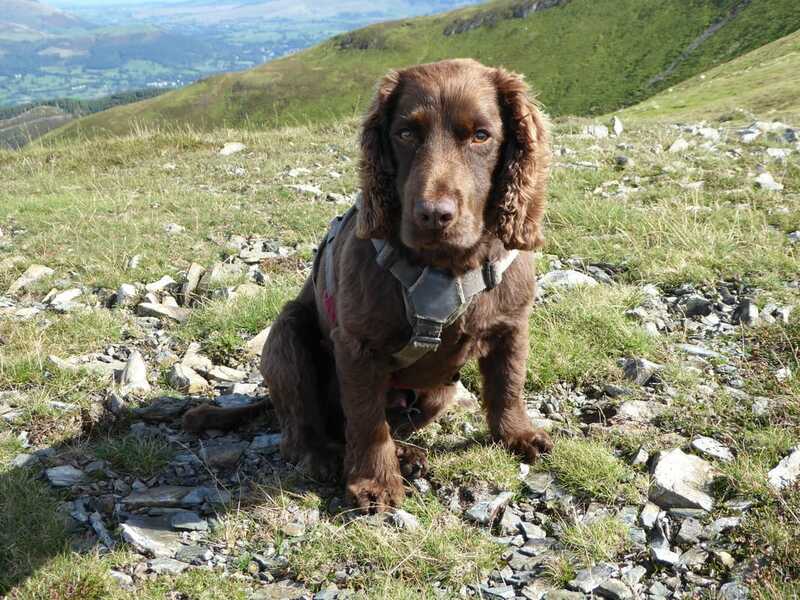 The path around the edge of Hobcarton Crag leading to Hopegill Head - Fudge doesn't believe my Nav - again! 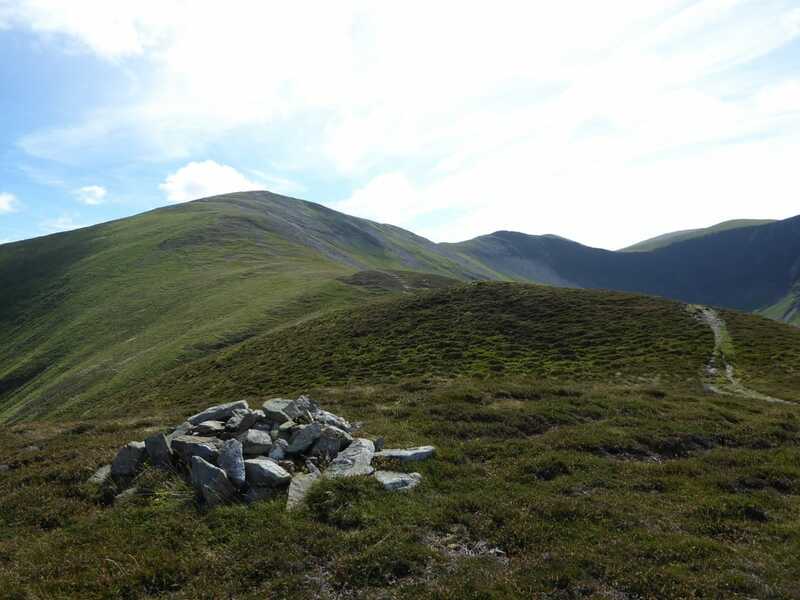 Another one bites the dust - Crag Hill Trig Point. 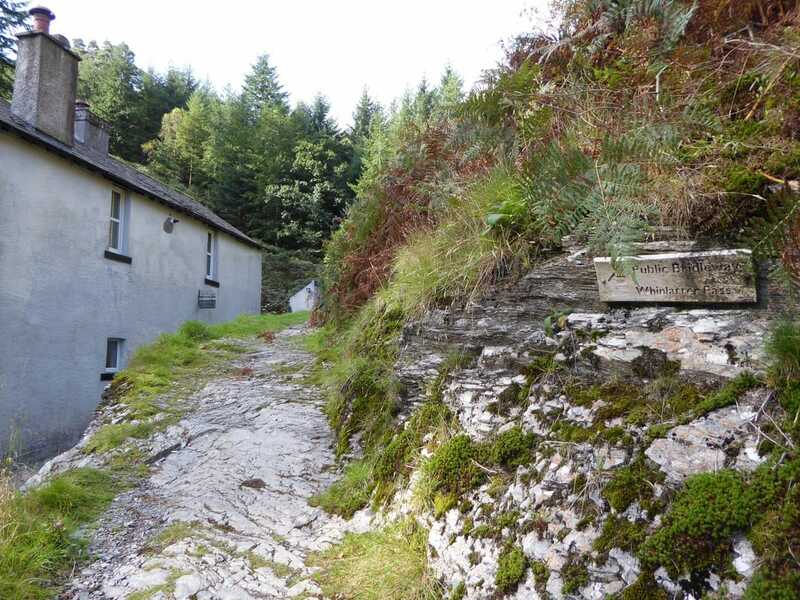 I guess it has just had one too many people climbing al over it. 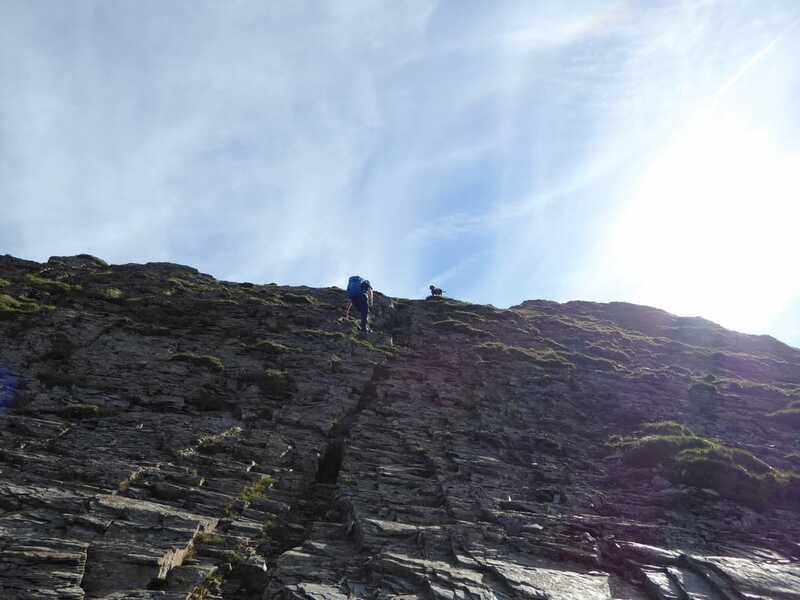 People have come to blows discussing the zig zag path down from Sail to Sail Pass. 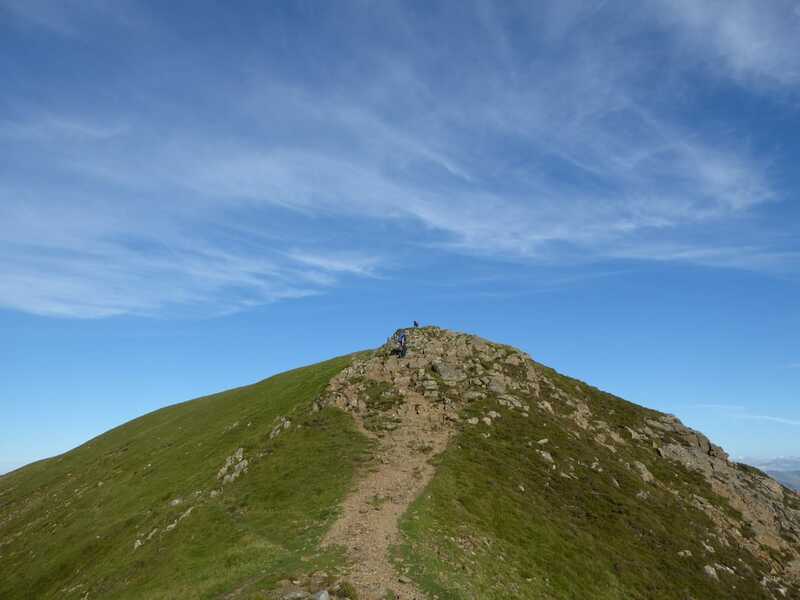 Fix the Fells constructed the path to help ease the erosion caused to the landscape on this ascent and having seen the path before it was repaired, something clearly needed to be done. 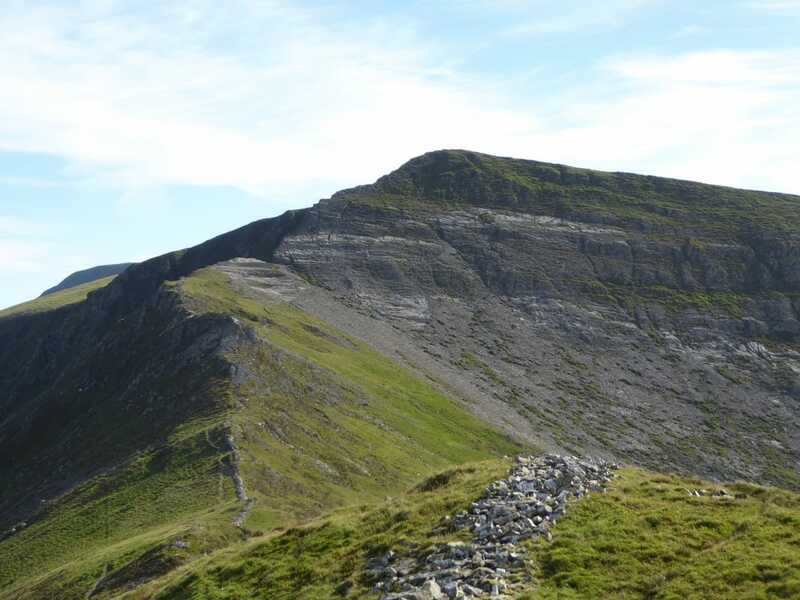 Whilst to some it is unsightly, hopefully it will eventually blend in. 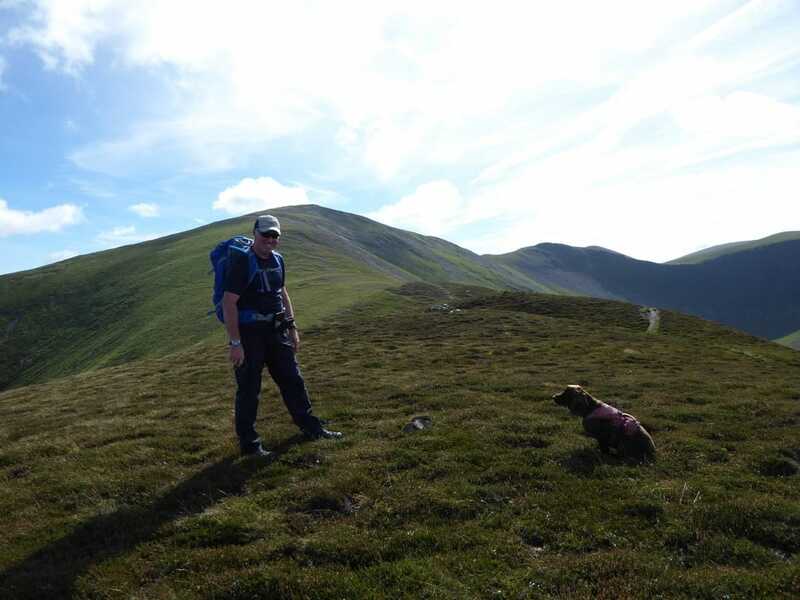 The rocky summit of Outerside - last time we were here we could see diddly squat. 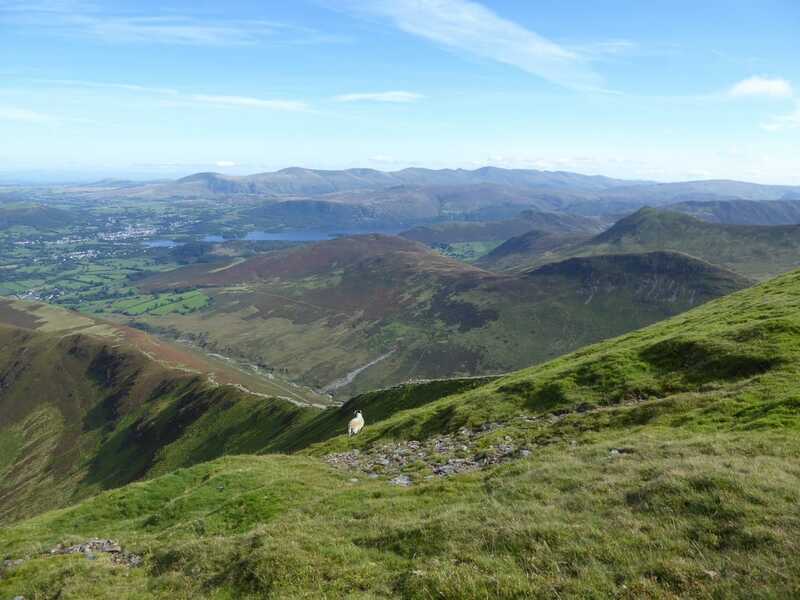 The Skiddaw group dominates the view ahead with Bassenthwaite Lake to the left.